This is the familiar aromatic brown rhizome utilised in Asia for thousands of years as a digestive remedy and as a spice. Ginger plant, Zingiber officinale, is approved by German Commission E as a remedy for indigestion, motion sickness and a poor appetite. 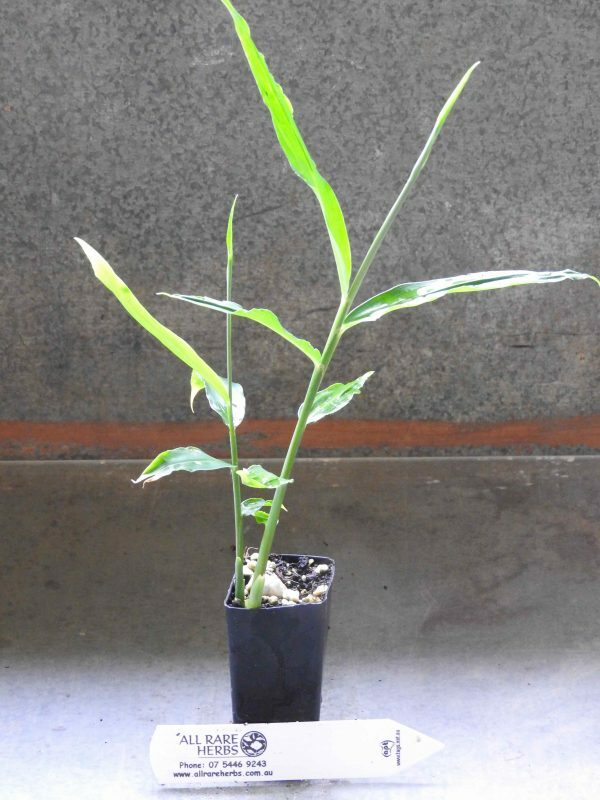 Ginger plant is native to tropical Asia and prefers rich moist soils in a protected sunny position. May be grown as a pot specimen. Flowers are yellow, green and purple and occur as a terminal spike in late summer. Drought and frost tender. A perennial plant, growing to 1.0m x 0.5m. Be the first to review “Ginger, plant” Click here to cancel reply.